(MENAFN - The Conversation) Curious Kids is a series for children. If you have a question you'd like an expert to answer, send it to You might also like the podcast Imagine This , a co-production between ABC KIDS listen and The Conversation, based on Curious Kids. This is a very interesting question. That orange stuff is called a yolk. It's a great source of vitamins, minerals, fats and proteins packaged up by the female animal for an embryo (the developing cells that turn into a baby). You probably know that the yellow bit inside a chicken's egg is the yolk, but in fact a lot of animals lay eggs that have yolks in them. 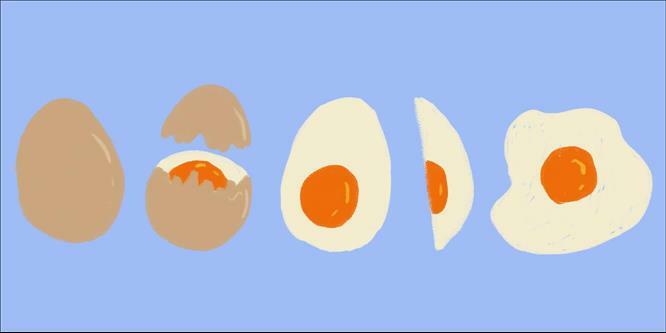 However, not all animal eggs have a yolk! When a living thing is born with a special difference – what we would call a 'trait' – sometimes this trait helps them live and survive better than someone who doesn't have that trait. This trait may help them live longer and have more babies. Imagine you are a worm living millions of years ago. You produce heaps and heaps of eggs that develop quickly into little worms. But most of the babies die because they are small and have to find food straight after hatching. They can't go far because they are very little and so most starve to death (or are eaten by bigger creatures). So the worm who was able to feed its babies when they're still inside the egg had more babies survive, and a yolk evolved. Vertebrates that produce eggs with large yolks include bony fish, cartilaginous fish ( sharks and rays), reptiles, birds and egg-laying mammals (platypus and echidnas). The rest of the mammals (animals that don't lay eggs) have found a different system. They have a placenta, which is a kind of a feeding sack linking mother to embryo inside the mother's body. This system allows the developing embryo or fetus to get nutrients straight from the mother. That's how you were grown! Please tell us your name, age and which city you live in. We won't be able to answer every question but we will do our best.